London 2012 – do you have a plan of action? Home / olympics / London 2012 – do you have a plan of action? The Olympics in London are now under 12 months away, so do you have a personal and business plan to allow you to carry on during the games? I write this post with some degree of personal insight as to how an Olympic games can affect a city, as I was living and working in Sydney during the 2000 games. 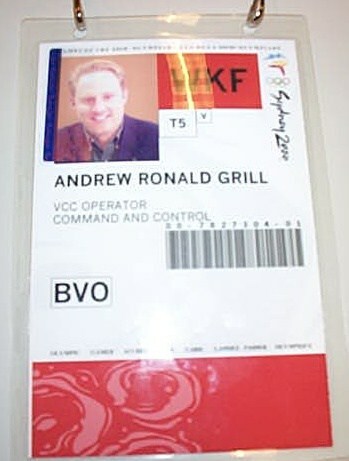 Back in 2000, while I was working for Telstra (the BT of Australia) who were also a major Olympic sponsor, I managed to see first hand how companies were preparing for the games. I managed to find the slides I presented back in February 2000 to a group from the New South Wales Chamber of Commerce on how to prepare for the games. Much of the advice I provided back then is relevant 11 years later. Back then we could only dream about ubiquitous ADSL, so “teleworking” as we all called it was not very practical over dial-up lines. Fast forward to 2011, and 3G networks and high speed broadband in most areas of London and the UK ensure that this is a real option. While working at Telstra, I was fortunate to be able to visit the Bellsouth Olympic team in Atlanta that had been involved in the 1996 games. “…you watch, as has happened in Atlanta before and will happen in Sydney and future games, the local government scares the public into thinking that the traffic around the Olympics will be a nightmare. This has the correct effect, as the smart locals and businesses prepare well and stay out of the city, meaning the traffic flows well”. My experience of working and living in Sydney for the 2000 games was just that. The local authorities had warned how busy Sydney would be, and how special “Olympic lanes” would cut the available traffic lanes, and increase congestion. The effect was amazing, and Sydney was really easy to get around during the games because most people scheduled leave, left town, or worked from home and this massively reduced congestion in the city. The effect of the 2012 London Olympics has been described as like 14 Royal Weddings, combined with 14 heads of government meetings all at the same time. Coupled with the main public transport route being the already crowded Jubilee line and you get the picture. LOCOG, the London 2012 organisers have some very handy tips on their website to help businesses plan ahead. UPDATE: Deloitte also have a very handy Games Readiness report on their deloittelondon2012.co.uk website. One other way to avoid the crowds while working is do what I did and take 2 weeks of and become a volunteer. Just a few weeks before the games, I realised that I wasn’t going to be allocated a role via Telstra, so I approached Volunteering NSW (when I served as a board member) to see if there were any volunteer spots let so close to the games. To my surprise, they could offer me roles at either Gymnastics, Weightlifting or Beach Volleyball. No prizes for guessing I chose Beach Volleyball – on a real beach (Bondi). Not only was it a great feeling wearing the uniform and helping the games to become what those inside the Olympic movement call the “high watermark games”, but the Volunteer parade through the streets of Sydney (54,000 volunteers and probably half a million cheering us on) I will never forget. I will be lucky enough to have seen two Olympic games in two cities in my lifetime, so if you are in London, I encourage you to prepare well get involved and enjoy London 2012. PS if you saw the BBC “Twenty Twelve” Olympics spoof show, then you will love the original created by John Clarke, Brian Dawe and Gina Riley (Kim from Kath & Kim) called simply “The Games”. 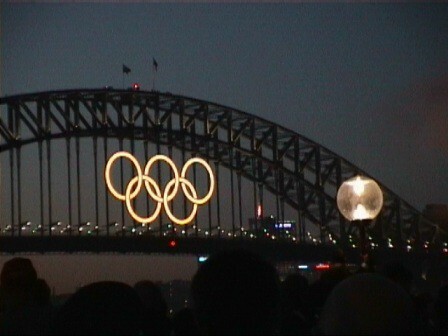 So real were the stories, SOCOG (Sydney Organising Committee for the Olympic Games) thought they may have a mole inside. My all-time favourite is “the 94 metre track” sketch – shown below, which is based on the (alleged) story that the original plans for the Olympic stadium in Sydney did not include enough of a run off area at the end of the 100 metre track. More of my 2000 Olympic Games pictures can be found over on Flickr.